Welcome to the newest member of the First Financial family! 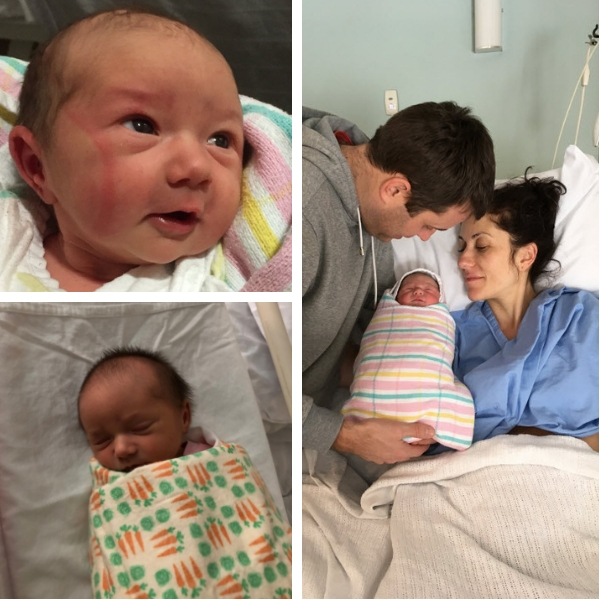 Beautiful little Mia was born last month, weighing 2.9 kg (6lbs 7oz) to proud parents Honi and Chris Crough. Chris, who is a principal at First Financial, tells us both Honi and Mia are doing really well and that so far everything has been much easier than they expected. Chris hopes his beautiful new daughter takes after her wonderful mum and inherits as little as possible from him! But Croughy is just being modest; we have no doubt Mia will be just as cool, calm and collected as her Dad – maybe she’ll grow up to be a surfer too. Congratulations Honi and Chris, from all of us at First Financial. You can read more about Chris Crough here.